As I was making all of the registrations, I realized we have one more that needs to be considered right away. 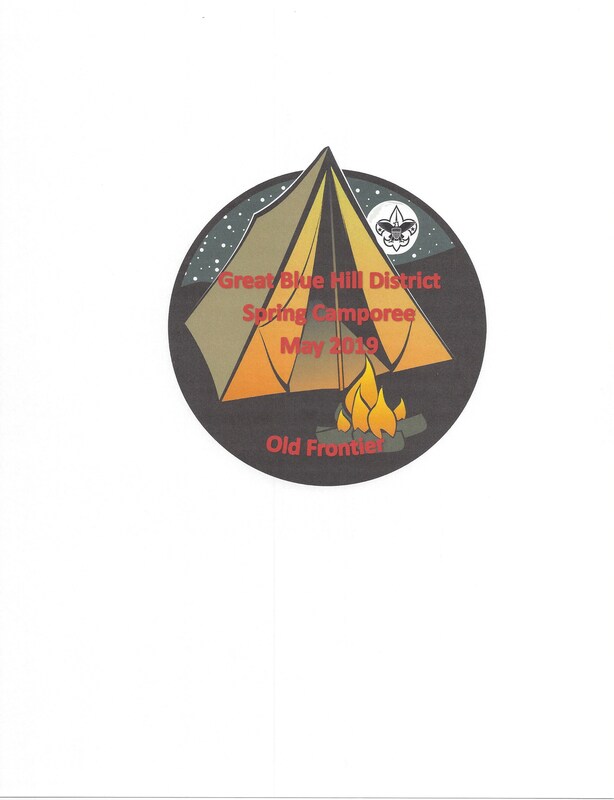 The Great Blue Hills Spring Camporee is a council-wide Camporee like Klondike (Hopefully with warmer weather). The Camporee takes place on May 17th - 19th, however, the council has a registration deadline so all registrations must be complete by Monday, April 22nd. If you start the registration now, Mr. Murphy can gauge how many scouts will be attending and make the appropriate reservation for our Troop. Spring Camporee Scout Registration and Adult Spring Camporee Registration Also can be found on our websites left sidebar or click on the link above. Each scout will need to have a commando rope (5 to 6 ft in length), know Morse code, know how to start a fire by friction and have one monkey’s fist per patrol. Patrol should be 5 to 8 scouts. Each patrol will need to supply (2) 6-foot staves and have some type of wagon that one scout can ride in for the Wagon relay. Your patrol will need to determine what equipment they will need for their journey into the Frontier. Scouts will need to administer first aid, staves will be needed. Scouts will need to lift a log using the commando rope and monkey fist. Patrols will test their skills against other patrols in an old fashion volleyball game. Each patrol members will need to ride in the wagon the length of the course then will need to change participants in the wagon. Each patrol will run the course 8 times one per patrol members. If a patrol does not have eight members then the patrol will have to have multiple scouts ride twice. A scout will only be allowed to ride twice during the race and all scouts must ride at least once.